Spannocchia has been home to many artists for more than a century who have been inspired by its beautiful grounds and immersed themselves in their artistic work. Situated on a 1000-acre preserve, Spannocchia is the ideal setting for artists to be surrounded by nature and history, and enjoy a quiet pace of life allowing for reflection with minimal distractions. For decades, we have opened our doors to visiting artists and educational groups and provided Spannocchia as a venue and backdrop for their work. 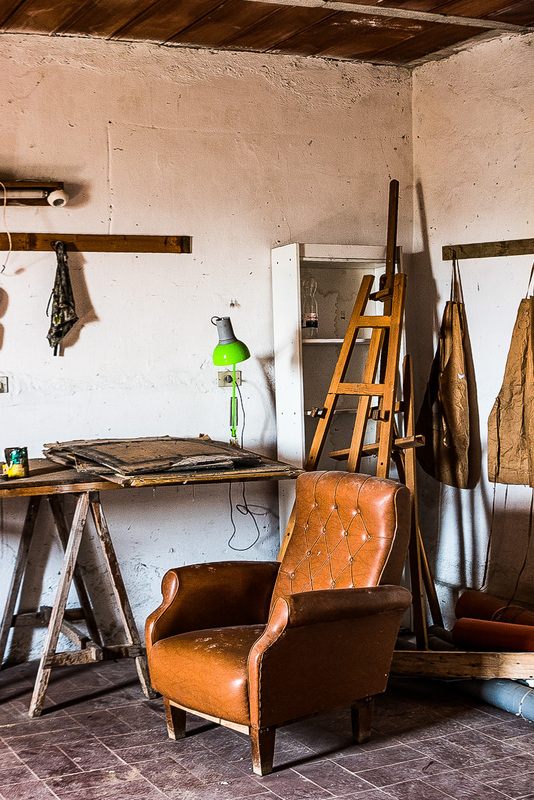 We are seeking to deepen our connection to the artistic community by providing an emerging artist with an opportunity to live and work at Spannocchia. It is our hope that our resident artist will be inspired by the culture of Italy, the dramatic backdrop of the Tuscan countryside and the preservation of our estate and will become a part of our vibrant international community. A selection committee will award one annual residence opportunity to an emerging artist for a period of two months from June 3rd to August 4th, 2019. The artist will receive a studio space in the 12th century tower and an apartment on the property with a fully equipped kitchen. Some meals will also be provided including breakfast daily and dinner in the main Villa three times a week. The artist resident will be responsible for their own international travel arrangements. Transportation to and from Siena upon arrival and departure can be arranged. Upon completion of the residency, artists are asked to donate a work of art to commemorate their time living at Spannocchia. Donated works will be displayed throughout the property to memorialize past residents and demonstrate to our guests and visitors the importance of Spannocchia’s continued commitment to the arts. Applicants for our residency program are nominated by a committee of established artists, academics and critics. Nominees with receive an invitation to apply to our program by November 30th, 2018. Each member of the nomination committee may recommend up to four artists. In order for a nominee to be considered, a completed application must be received by January 15, 2019. Only nominated candidates may apply and a review jury will make final selections. If you are interested in being considered for nomination, please send your CV to artists@spannocchia.org. Resume or Biography (2,000 word limit). 10 Image files OR up to 10 video or audio files not exceeding a combined length of 5 minutes. Limit image resolutions to 1280 pixels on longest side at 72dpi. For video, please use .mp4 or .mov formats. For audio, please submit mp3 or wav formats. Important: The artist’s name must be stated in all submitted work. A corresponding item list of titles, medium, size, date and up to a 50-word description of each item. Other Information (500 word limit) including how Spannocchia is relevant to your work. Emerging to mid-career visual artist. Demonstrated record of artistic accomplishment. Ability to independently arrange travel to and from Spannocchia. They are current undergraduate students and MFA students. They are unable to be obtain a visa to for 60 days of travel in Europe. The residency is awarded through a careful nomination and jury process by a rotating group of distinguished artists, academics, and critics. Applicants from around the world that are emerging or mid-career will be considered. A special thanks to the following professionals for sharing their expertise and knowledge and assisting us in selecting and nominating potential resident candidates in the visual arts. I have been unable to secure a nomination prior to the deadline listed on the nomination form. What are my options? You should consider trying to secure a nomination for the following year. Incomplete nomination forms or forms sent after the deadline will not be accepted. I have been unable to send my application by the stated deadline after receiving the nomination. What are my options? You can ask to be considered for nomination for the next year. Where is located the artist studio located? The artist studio is located on the third floor of a 12th century tower. There is ample space and beautiful vistas of the countryside and gardens. There is no elevator to reach the studio. How do Artists in Residency get around? We can provide a ride to and from Spannocchia and Siena on the arrival and departure days. We do not provide a car for the artist but there are daily opportunities to catch a ride to Rosia, (the nearest town about 6 km away) to do errands, grocery shop or catch a bus to Siena or other destinations. Can two artists who collaborate together apply? Yes, if they are willing to share a one-bedroom apartment. Can my spouse join me? Yes, it is possible for your spouse to join you during your residency for a fee of 100 euro per week (not including the meals). If the residency has been won by two collaborative artists, their will not be sufficient room for a spouse to join them in the apartment. Can I host friends in my apartment during my stay here? You should receive an automatic email reply confirming receipt of your application from artists@spannocchia. How many references do I need to complete the application? You will need at least 2 reference letters including one from a professional art instructor, collector, or critic. I was not selected for the Spannocchia Artist in Residency. Can I get feedback on why I was not selected? Spannocchia is unable to provide applicants with individual feedback about their proposals. I was not selected for the Spannocchia Artist Residency. Can I re-apply the following year? As long as you secure a valid nomination you may apply. You may also ask to have the proposal from the previous year reconsidered. Can the residency be shorter than the dates listed? No, we would like the awarded artist to be in residence for the entire period. Can I come for the same amount of weeks during different dates? No, the dates are not flexible. Are there costs that the Artist in Residency should consider before accepting? Travel to and from Siena is not provided including international and domestic flights. Some meals such as breakfast daily and three dinners weekly will be provided. Other meals will be at the artist’s expense. Other possible additional expenses to consider are studio supplies, intermittent travel expenses, personal expenses such as phone, laundry, and groceries, and any fees associated with Visas or passports.